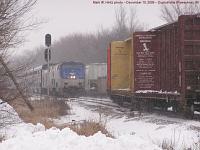 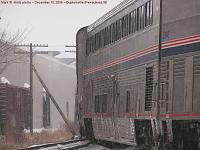 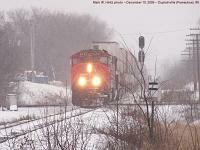 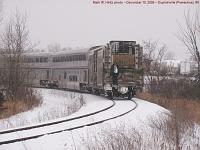 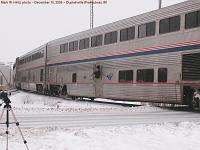 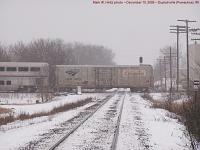 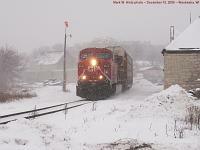 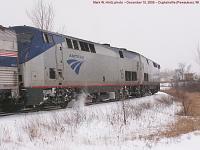 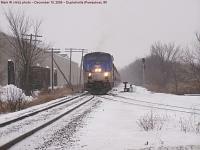 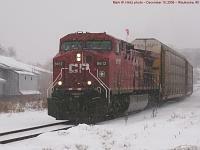 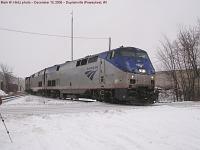 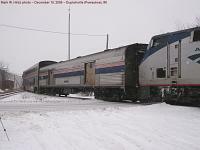 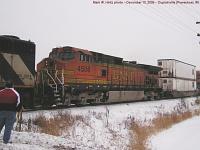 Due to work being performed on Canadian Pacific's KK River bridge on December 10, 2005, Amtrak's Hiawathas were terminated at the Milwaukee Airport station, and several through CP freights as well as both the eastbound and westbound Empire Builder were detoured via Canadian National's Wisconsin Central between Duplainville (Pewaukee), Wisconsin and Chicago. 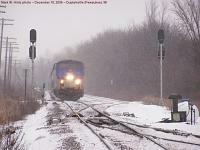 The connection is in the northeast quadrant of the crossing at Duplainville, which also necessitated a back-up move for those trains making the detour. 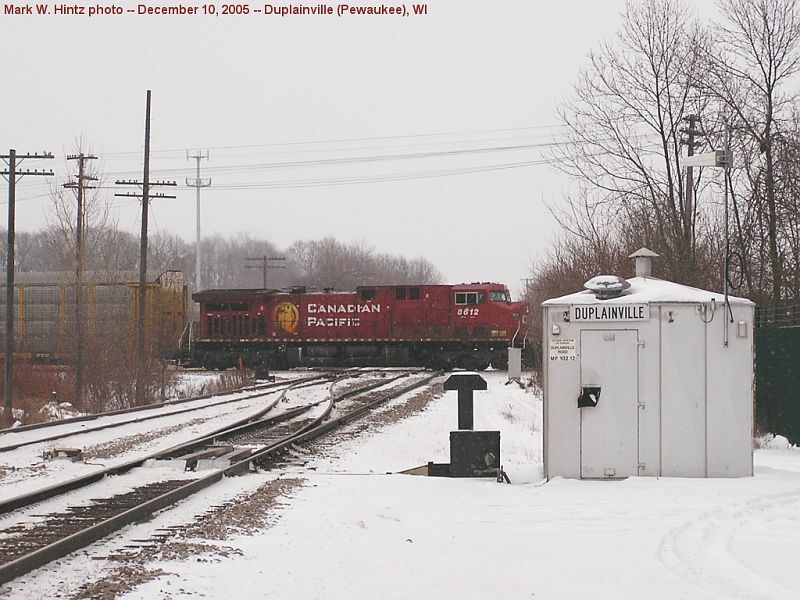 I was contacted by "jeaton" from the Trains.com forum about this movement, and he, Debbie and I, and a few Kalmbach employees met at the End Zone, which abuts the CP right-of-way on Duplainville Road, where we met pizza and discussed our plans for the day. 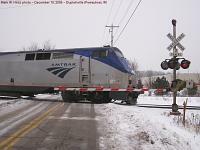 Thanks Jay, for coordinating a wonderful railfanning event!